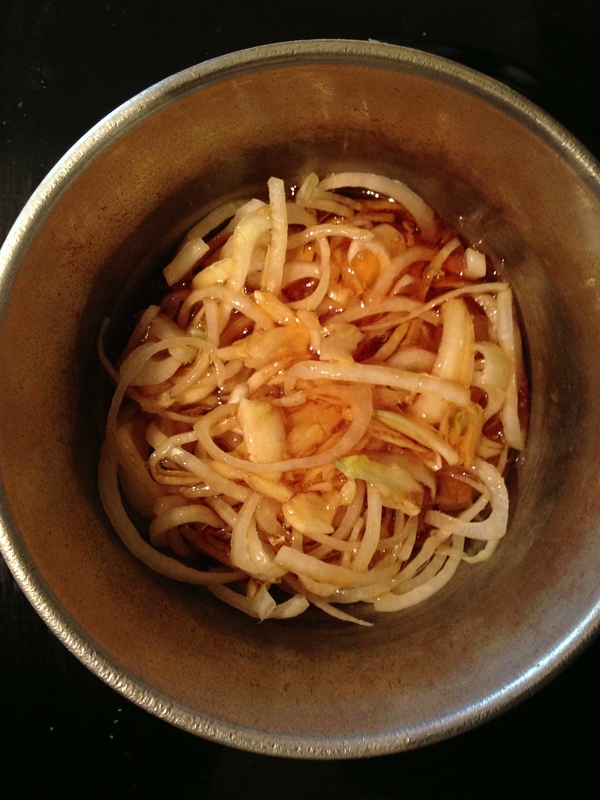 Honey Onion Garlic Syrup… The Perfect Remedy. This past weekend, I celebrated my 30th bday… I was so very fortunate to have 2 of my longest, dearest friends come to FL to spend it with me. We camped, we cooked, we drank some wine, and we didn’t get much sleep. It was a blast, but left me feeling a little worn down once the weekend was over. For me, when my immune system is low, I feel it first in my throat. Slightly swollen glands and a sore throat are the first signs that I need to give some serious care and love to my body. So that is what I did. I learned about this medicinal honey syrup through Rosemary Gladstar, whom you may of heard me mention before. 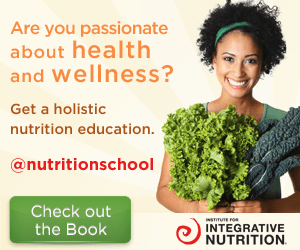 She is a goddess in the herbal community, and has done so much to keep the practice of herbalism alive and well. She refers to this as her “honey onion syrup”. 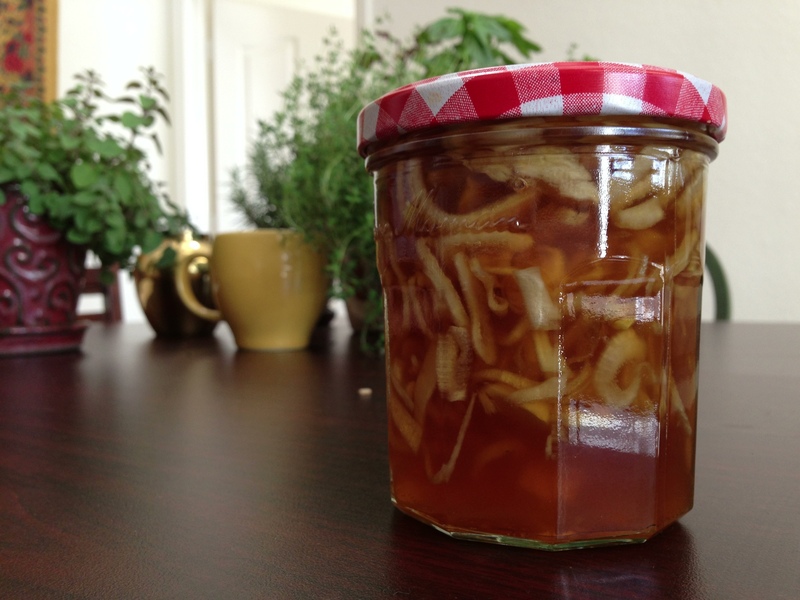 It is a great remedy for colds, flus, sore throats and coughs and is extremely easy to make. I had my first experience with this syrup over these past few days, and I loved it so much that I needed to share it with you. I added garlic cloves to my batch because I wanted the extra immune support, but feel free to leave it out if you don’t have it around or aren’t crazy about the flavor. In a pot, place your onions and smashed garlic cloves. Pour in the honey until the onions and garlic are covered. They do not need to be submerged, but you want enough honey so that the onions can cook down a bit. Place the pot over a very low heat and cook for 30-60 minutes. When the onions and garlic soften, and the honey becomes more liquefied, you know that your syrup is ready. *Note: heating this syrup over a very low heat is important because you want the honey to remain in its raw form. This provides our body with the natural occurring enzymes that are in raw, preferably local honey. As the honey heats up, it slowly extracts all of the healing properties from the onion and the garlic, making it super medicinal and healing, the perfect remedy for a sore throat, cough, or a run down immune system. Enjoy this syrup throughout the day. Eat it as is or mix it in with some hot water and drink it as a tea. 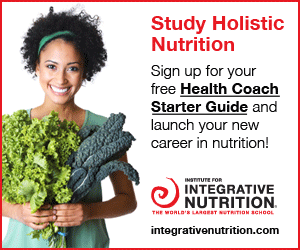 I was consuming about a tablespoon every few hours, sometimes more and sometimes less. There is a lot of freedom with this medicine, so enjoy it. I left the onion and garlic pieces in my syrup, but if you prefer to have just the honey, simply strain the syrup through a fine mesh strainer. Store it in a jar in your fridge and use it freely. The best part? You don’t need to be sick to enjoy this syrup. The medicinal qualities in garlic and onions can benefit our bodies at any time, and we can’t really have too much of them… so enjoy! Rosemary also suggests adding some cayenne or fresh grated ginger to change up the flavor or to add different benefits. Play around… This is a recipe you really can’t mess up. Tags: garlic, honey, immune strength, medicine, natural, onion. Bookmark the permalink. How should you store it? Sitting out in room temperature or in the fridge?